Precision Spinal Care is here to help you recover and regain your life! Our Chesapeake auto accident clinic is providing you the following information on auto accidents and invites you to call us for your auto accident evaluation or simply fill out our form below and we will contact you! Every trauma has the potential to upset or damage the body’s structural balance by causing a misalignment and structural distortions that create abnormal stress affecting muscles, ligaments, bones, discs, internal organs and even the brain itself. According to the National Highway Traffic Safety Administration, a traffic accident occurs at least every 12 minutes. This is a frightening statistic that unfortunately touches most of our lives, at one point or another. While many of the auto accidents that occur every day in the U.S. are minor, there are many that result in serious injury or death. Studies support that even when an auto accident does not cause any broken bones or bleeding from an accident, even low speed impact accidents can cause misalignments that were never corrected and developed into severe chronic pain. Most medical evaluations say the patient is fine, but MD’s are not trained to diagnose the head and neck for detailed misalignments nor know how to correct them. Unfortunately, many people leave the emergency room thinking some muscle relaxers and ice will solve the problem, yet at Precision Spinal Care we see so many cases in our office where the patient can relate the start of their chronic neck pain for many years starting after an auto accident injury that was treated medically initially, but never diagnosed properly for misalignment of the head and neck. Here at Precision Spinal Care, we specialize in the NUCCA technique and wanted to give you some fast facts about how we handle our auto accident injury patients. A NUCCA doctor focuses on the relationship of the head to the neck often damaged in an auto accident injury. The top bone of the neck, known as the atlas, must be in line with the head. lower neck, x-rays in three planes are taken so each person’s misalignment can assure a proper adjustment is rendered and increases the probability for a proper correction and restoration of the balance of the head and neck that the auto injury damaged. Pain killers, traction, and surgery or as you are being told “You will just have to live with the pain” are not always the patients best option. Seek a NUCCA specialist after an auto accident injury once any serious medical damage is ruled out and get the actual cause of the problem resolved. resulted from an auto accident many years ago. Sooner is better than later, but getting a proper exam and correction is better than the alternatives as auto accidents are all too common and can affect the quality of life for years to come. If you or someone you love have fallen victim to an auto accident and live in the Chesapeake, Virginia Beach, VA please call our office! 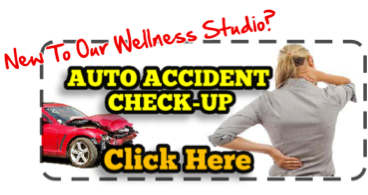 We are here to restore your health and live as pain free as you can following a traumatic auto accident! We specialize in the NUCCA technique that addresses the root problem of symptoms like back pain, neck pain, leg pain, sciatica, headaches and more…we look forward to helping others achieve a life of wellness!